On July 10, 2018, a technology transfer workshop was held at the Technological Park of Ourense (Galicia, Spain) in which various research, development and innovation entities and technological companies showed the edge-cutting methods that allow determining the location, volume and technological properties of wood as well as optimizing the wood supply chain and its industrial use. The woodland, forestry and timber processing industry supports thousands of businesses, jobs and livelihoods. 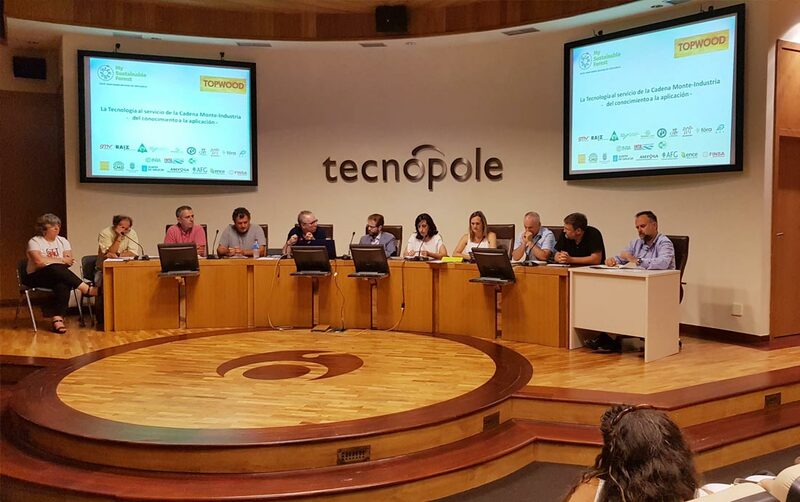 The workshop focussed on a round table entitled “From knowledge to applications”, coordinated by Ricardo González, manager of the local wood cluster “Madeira and Deseño de Galicia”; the speakers at the round table represented the full range of wood experts, from forest managers to added value industries. The dialogue counted on the contributions of Federico Ruiz of ENCE, Javier Silva of FINSA, Ana Orons of FEARMAGA, Jacobo Feijoo of ASEFOGA, Franciso Dans of AFG, Azahara Soilán of CIS Madeira, Esther Merlo of Madera Plus, Juan Picos professor of the University of Vigo, Alejandro Matínez-Meier senior researcher at INTA (Argentina), and Jean Paul Charpentier senior researcher at INRA (France). One of the first topics discussed tackled the quality standards required by the processing industry in order to classify the wood for the various possible uses; industries and forest managers should be better aligned to identify and evaluate wood quality under the same standards throughout the supply chain, a practice that would aid to boost the sector. On the standardization of wood quality categories, Madera Plus proposed a system to characterise and trace wood quality from the source woodland across the whole supply and transformation chain, with specific non-invasive acoustic technology that evaluates the wood quality of standing trees. 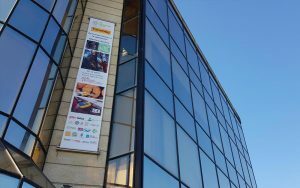 FINSA showed an interest in selecting quality wood supplies from the source woodland and developing a “supply quality certification”. From the sawing line, FINSA focus upon solid wood products with high added value to promote the use of Galician wood; FINSA proposes that wood added value should revenue upon wood producers and on forested lands, thus ensuring high quality forest management practices. At present, wood quality classification is carried out by visual recognition once wood supplies enter the sawmill stocking area, without previous registration, a practice that does not assure a constant supply of wood with the same quality and should therefore be improved. Selling, logging, piling and truck transport are four early moments at which wood quality could be controlled with the bespoken techniques. In contrast, FEARMAGA considers wood quality standards to be a market load and, in the case of Galicia, it is quite difficult to find source wood supplies with the quality standards required by the industry which, therefore, is bound to import stocks. The discussion questioned if the woodland-industry sector is prepared to integrate a new wood quality characterisation system, regardless of the obvious interest in differentiating supplies by their technological wood quality properties. 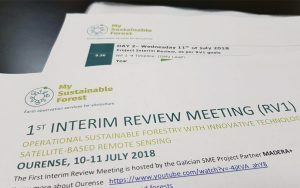 The Forest Owners Association of Galicia highlighted the need to replicate the successful production cycles of eucalypt for the pulp sector into the conifers world; a key requirement for a sustainable production and supply of quality conifers is to know the medium term needs of the conifer processing industry. This will help forecasting the viability of production within the time-cycles required by conifers. The proposal to validate wood quality at wood sale is something interesting that the owners could possibly support. ENCE pointed out that, in the case of pulp production, the most important wood quality parameters are basic density and pulp yield; for these, 50% of quality is determined by tree species while the remaining 50% is determined by forestry management practices and site quality. Wood quality is a determining factor for ENCE when purchasing supplies. For this reason, some of the technologies presented during the workshop, e.g: LiDAR, Radar or multi spectral imagery, have long been used by ENCE to optimize the potential of pulp wood. Speakers and the audience agreed upon the present forest management paradigm, fostered by new technologies and the rural abandonment. In this scenario, ASEFOGA identifies new business opportunities such as the chance to collect new products from abandoned forests or the shearing of forest proprietors in the added value benefits reached by the wood transformation industry. In view of the social and technological changes, the local forest owners association -AFG- states that the forestry sector will remain alive and productive only if wealth is generated in the rural area: rural abandonment is linked to the lack of economic performance. In this sense, we should learn from the raging 2017 wildfires in Portugal: the long lasting process of rural abandonment paid a countless toll in human, economic and ecologic losses. 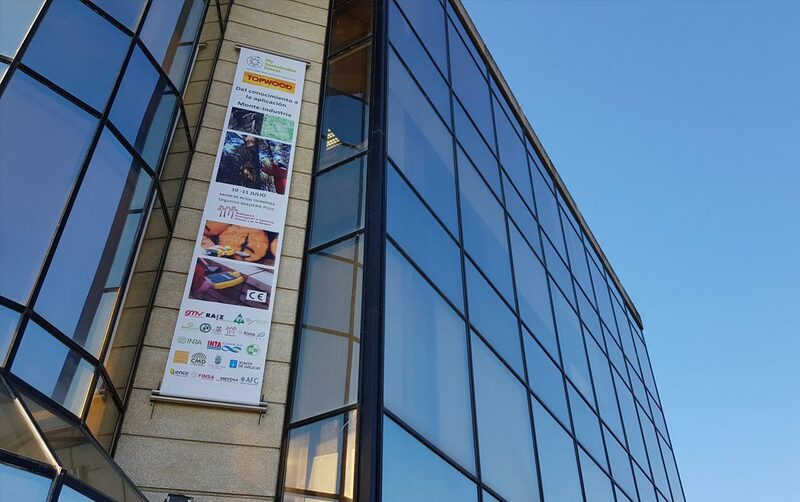 The Centre of Innovation and Technological Wood Services raised up the need to have updated forest statistical data of existing wood volumes so as to promote effectively the existing resources; the demand to consume local wood is well known to the association which seeks true sustainable markets, from local demand to international markets. First, to strengthen all the steps of the production chain, from the early forest management practices to the later industrial transformations. The application of biomass, such as starch, cellulose, wood, and sugar, used to substitute fossil resources for the production of plastics, is a widely accepted strategy towards sustainable development. Thus, a significant reduction of non-renewable energy consumption and carbon dioxide emission is accomplished. Innovation also applies to small sawmills, bound to shift from family business production patterns to technically enhanced transformation sites. Third, the demographic component: population aging and rural abandonment will seriously impact on forest production. Productive and healthy woodlands can only happen in lively rural regions. The forestry sector is the first beneficiary of sustainable rural networks; abandonment is good for no-one. Fourth, the highly fragmented land tenure in Galicia should find formulas to group properties and organise the tenure in such way that communal wood management will pay back in more efficient forest management results. In other words, smart land organisation formulas can overcome the set back of the small land tenure pattern. Another solution to reduce the impact of land tenure is the joint sell of wood by proprietors. Results are preliminary but very satisfactory in the north of Galicia. There is no need to turn society up-side-down, if ever possible. Fifth and final, despite the lack of an official Forest Plan for Galicia, linked to subsidies or allowances; despite the outdated statistics of wood species and surfaces, growth or plagues much can be done on the woodlands regardless of an updated diagnosis: silviculture should be fostered throughout, avoid unnecessary imports and prepare for the high demand of structural timber; the scope of structural timber opens new horizons of quality forest production, wood processing with high added value and economic synergies with the construction industry. Likewise, the classification and characterization of structural wood is an ideal field for the use of new techniques for assessing the quality of wood according to its intended use. The standards of construction with structural wood will mark the direction to reach the excellence in the production and will make us understand where it is necessary to focus the productive effort. The alert on the effects of climate change on sustainable wood production was addressed by INTA, with reference to experiences in Argentina; in particular, the measures to be taken to ensure the supply of wood by adapting and managing new abiotic and biotic risks associated with diseases, pests and fire hazards, among others. There was consensus amongst workshop attendants in two key issues: enhance wood quality through management, technologies and standards and foster long term wood production, planting and managing woodlands “for our grandchildren”. The forestry sector cannot be consolidated only through short-cycle plantations, to supply the constant demand of the pulp industry. For long term wood demands, the Public Administration has an essential management function. Iñigo Lizarralde from Föra Technologies commented in this respect that technology will always move ahead and the production sector should take advantage of the valuable tools to enhance the chain. 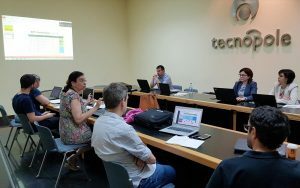 Raquel Díaz, from the Forestry Research Center of Lourizán, provided details of the programme followed by the Galician Governments for the genetic improvement of Pinus pinaster, in which technological parameters of wood are accounted for. She referred to the danger of pests and the efforts made to find resistant or tolerant genotypes of P. pinaster to the Pine Wood Nematode, Bursaphelenchus xylophilus. On this issue, owners point out the urgency of having such genotypes available tree nurseries as soon as possible. Other entities present at the workshop were the INTASA Group, specialized in the production of wood planks and floors; Molduras del Noroeste, a manufacturer of solid wood panelling for walls and ceilings; PEMADE, a technological platform for structural wood engineering at the University of Santiago de Compostela; the aerospace industry GMV, involved in satellite imaging applications for forest management; the Mediterranean Delegation of the European Forest Institute, EFI; the association of forest owners of Navarra FORESNA-ZURGAIA ; and the Forest Institute of the Mendel University at Brno, of the Czech Republic. At the end of the day, Madera Plus preformed a field demonstration of the acoustic technology that evaluates the wood quality of standing trees. 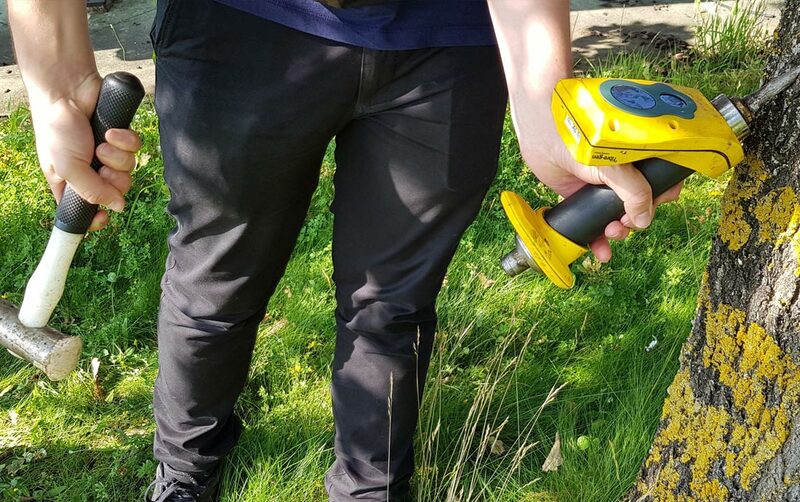 This novel acoustic measurement system employs a wave-time-of-flight method, measuring the speed of sound waves with two specially designed sensor probes, to improve acoustic velocity measurements applied to standing trees. Acoustic velocity obtained in trees provides an effective measure of the stiffness and strength of wood. The technology is also useful in predicting intrinsic fibre properties of the trees, a huge benefit to pulp and paper making industry. The acoustic technology used to ascertain wood quality properties delivers the following benefits to forest and wood products industry: (1) Enables objective evaluation of stiffness and other wood properties in standing trees; (2) Assists in optimization of value capture in harvesting and log making; (3) Provides means for allocating timber based on quality and suitability for different customers or processing options; (4) Provides decision support in forest management to improve the quality of trees; (5) Follows non intrusive-non destructive measurement procedures on timber stands.